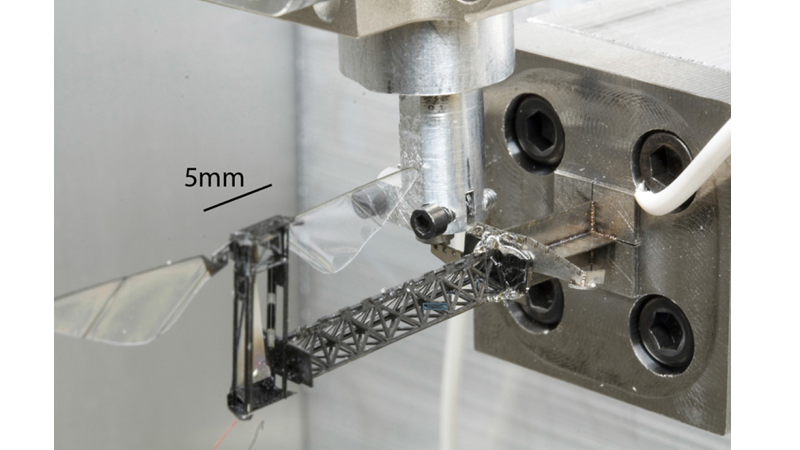 Abstract – Motivated by the need for torque sensing in the Nm range for experiments with insect-sized flapping-wing robots, we present the design, fabrication and testing of a custom single-axis torque sensor. The micorobots in question are too large for MEMS force/torque sensors used for smaller live insects such as fruit flies, but too small to produce torques within the dynamic range of commercially available force/torque sensors. 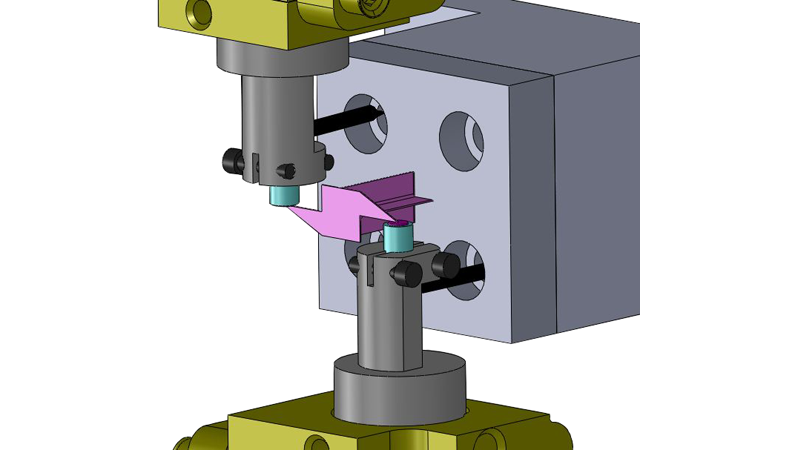 Our sensor consists of laser-machined Invar sheets that are assembled into a three dimensional beam. 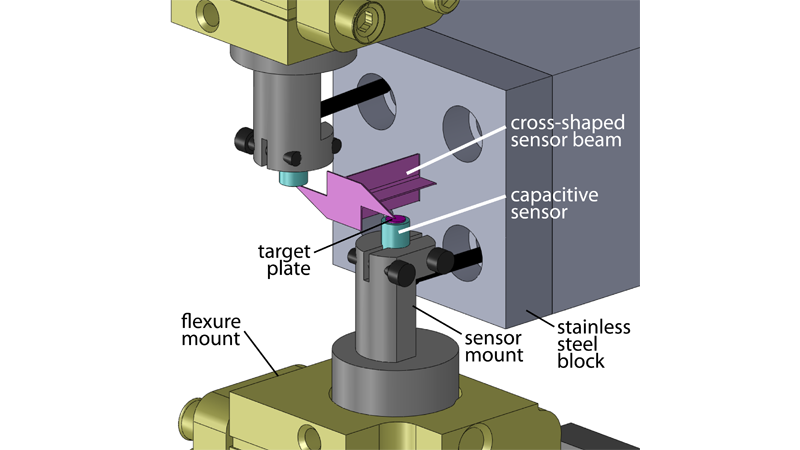 A capacitive displacement sensor is used to measure displacement of a target plate when the beam rotates, and the output voltage is correlated to applied torque. 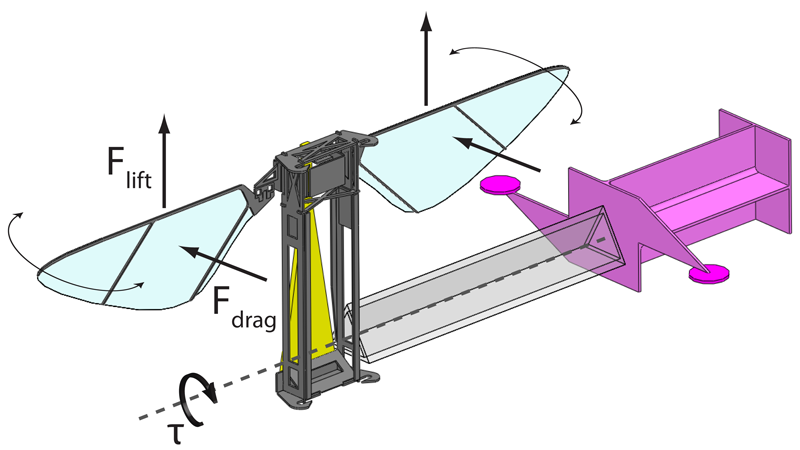 Sensor bandwidth, range, and resolution are designed to match the criteria of the robotic fly experiments while remaining insensitive to off-axis loads. We present a final sensor design with a range of 130Nm, a resolution of 4.5nNm, and bandwidth of 1kHz.